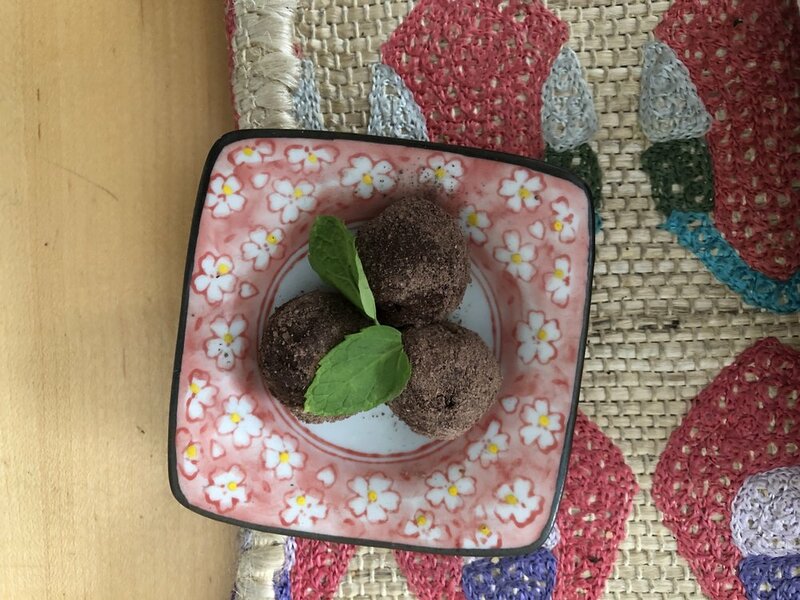 These truffles have a subtle and refreshing mint flavor to them, and are a simple and elegant way to end a dinner. If you’d like to up the mintiness, add ¼ tsp of peppermint extract to the almond milk, but the fresh mint has a cooling effect all on its own! 2. Finely chop chocolate and place in a metal bowl with the coconut oil and sea salt. 3. When the mint has steeped, reheat the milk and mint mixture to a simmer, remove from heat, and strain over the chocolate mixture. 4. Allow the chocolate to sit and melt from the heat of the milk for a few minutes. 7. Roll the balls in cocoa powder or topping of your choice to coat. Keep refrigerated.